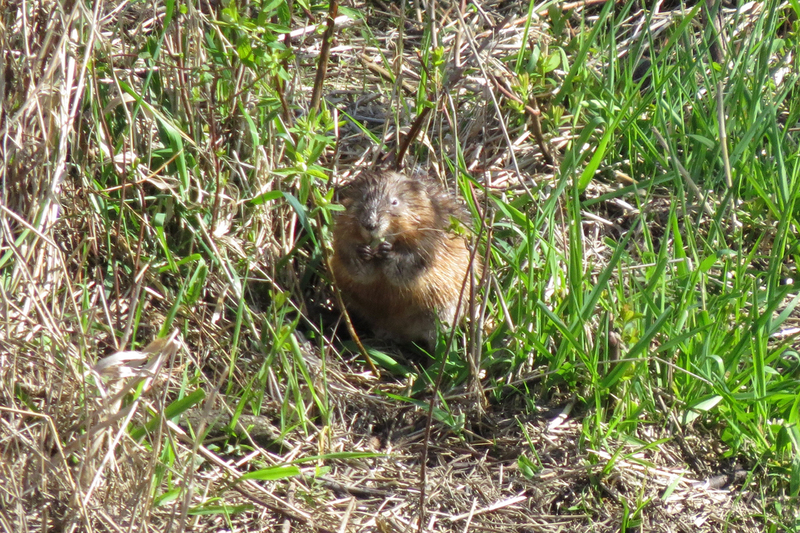 I took a quick tour of Fernhill Wetlands this week. Great changes are planned for this site. The main lake will be made smaller, and the other two impoundments will be replaced with emergent wetlands. I am looking forward seeing how things progress. Here are some birds and other critters from the trip. 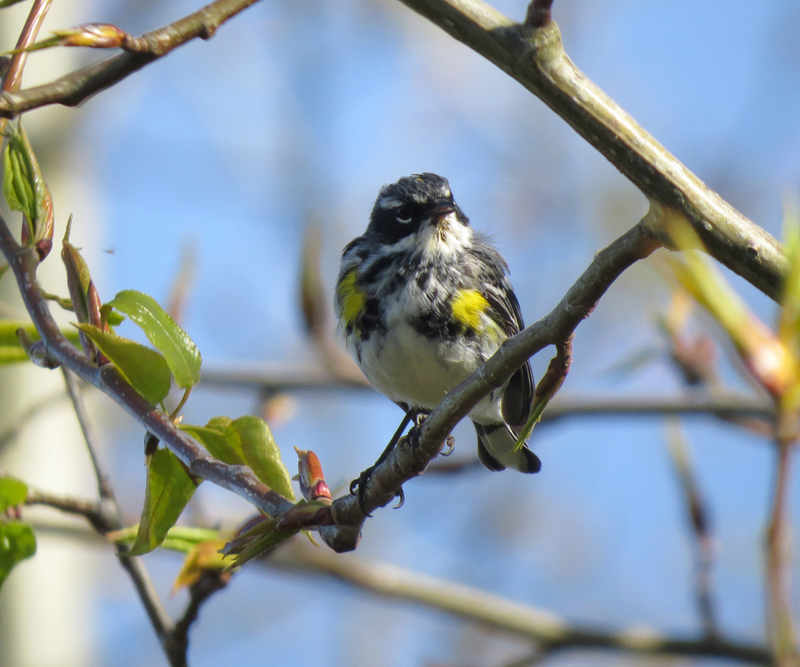 Many Yellow-rumped Warblers were passing through, mostly the Myrtle race, with only one Audubon’s. 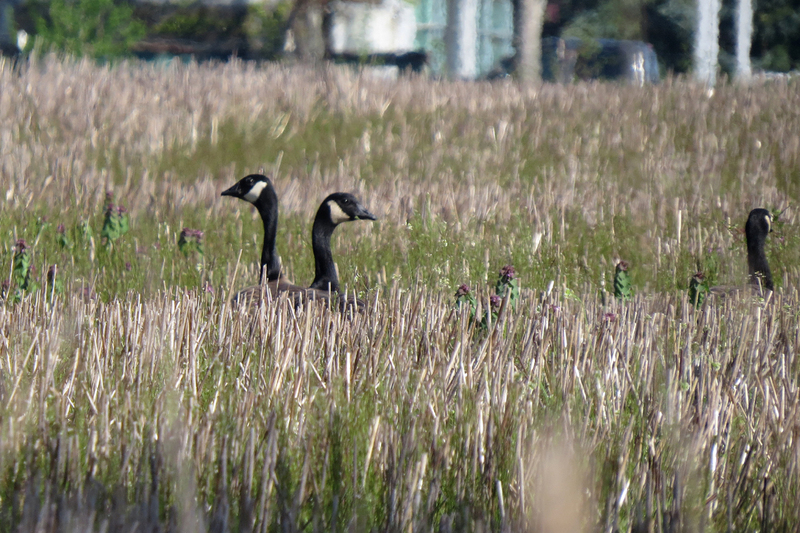 Flocks of Taverner’s Cackling Geese were feeding in the fields north of the main lake. baby Garter Snake. 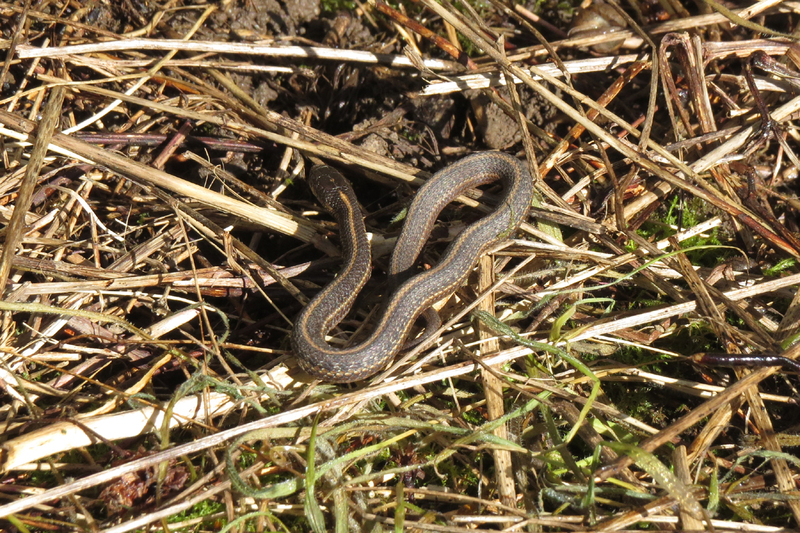 I’m not sure if this is a Common or Northwestern Garter. 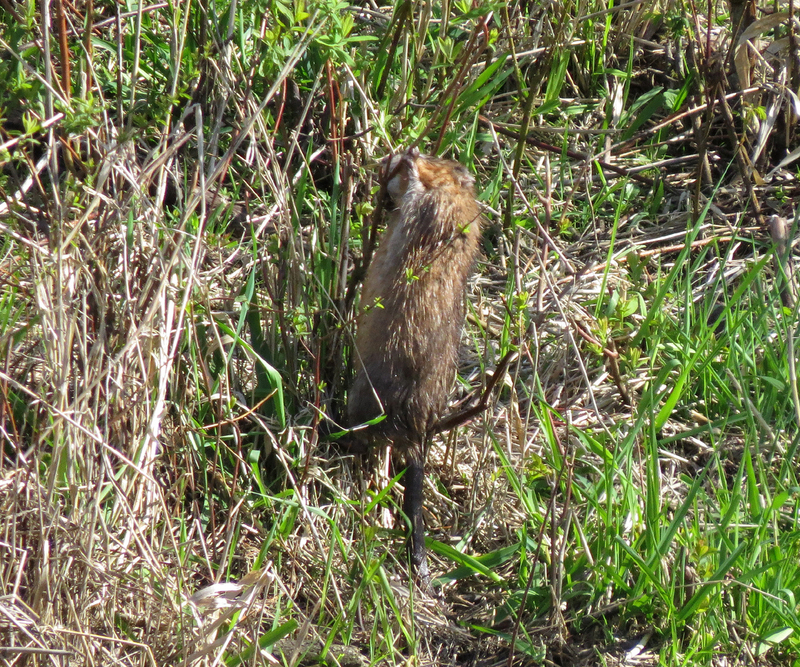 I don’t think I’ve ever seen a Muskrat climbing a tree before. This one was gnawing off a branch to get to the leaves. 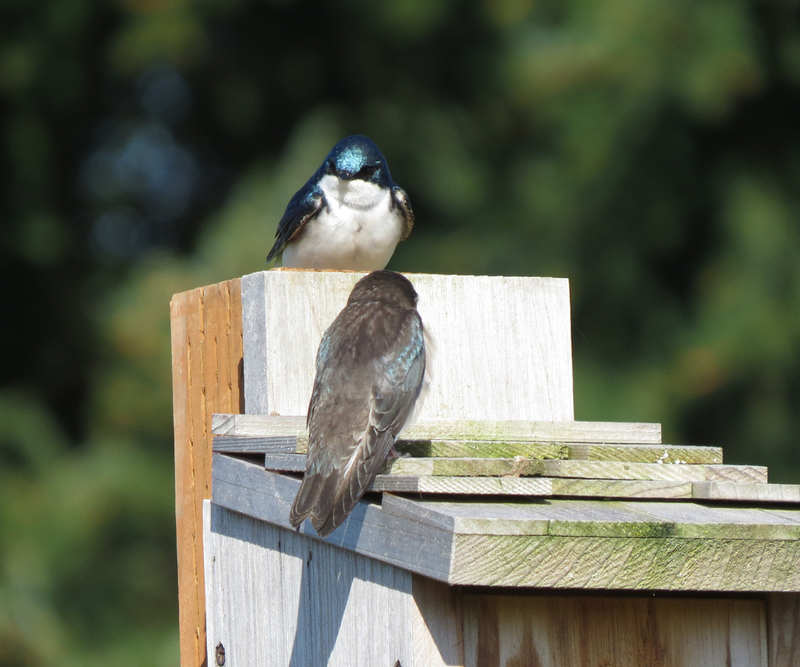 Tree Swallows are swarming around Fernhill Wetlands, no doubt encouraged by the many nesting boxes that have been installed at the site. 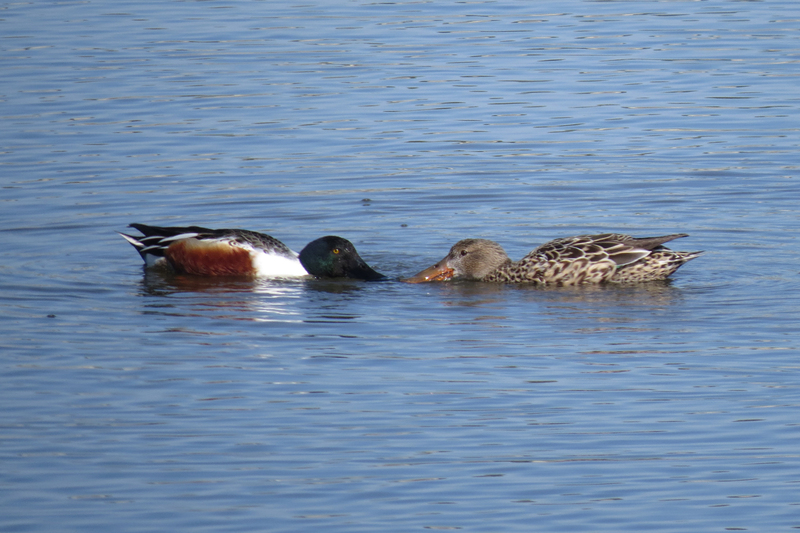 Northern Shovelers were the most common duck species on the lake. 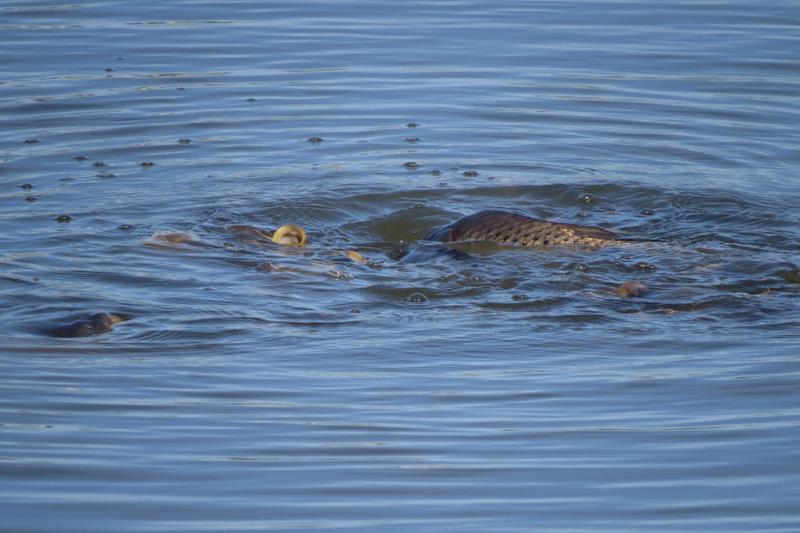 Several schools of Common Carp were active at the surface. I don’t know if they were feeding on aquatic insects or involved in spawning. 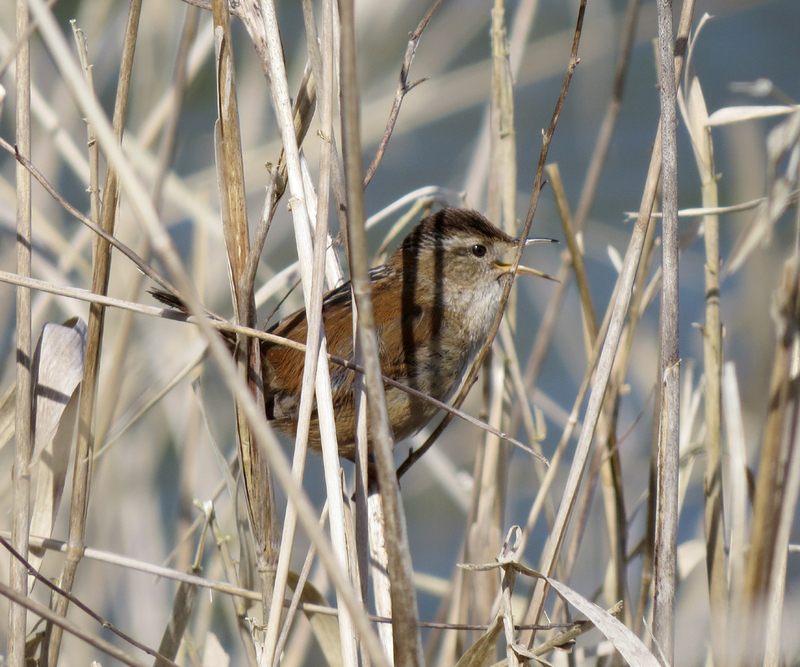 Marsh Wrens are starting to sing. 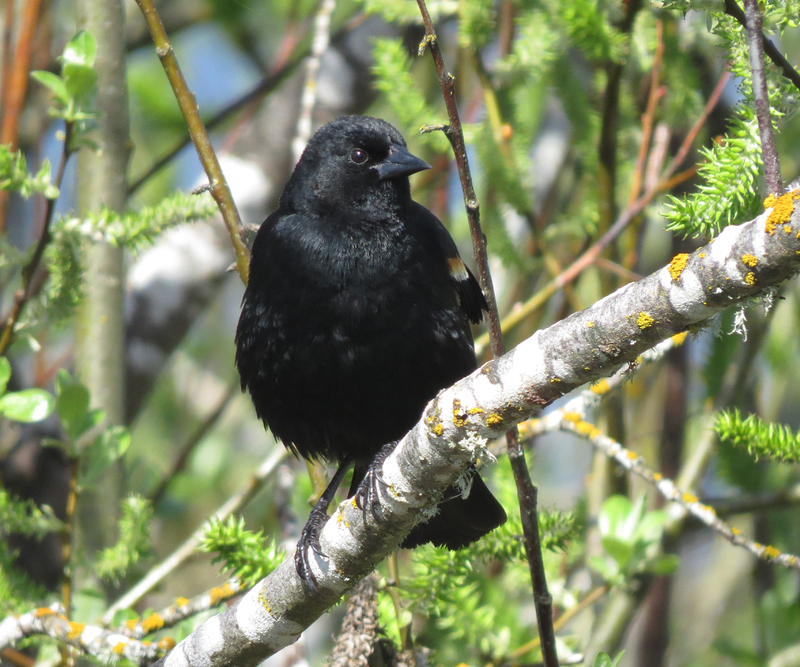 A few Red-winged Blackbirds were displaying. There aren’t very many Red-wings at Fernhill since most of the cattails died off several years ago. 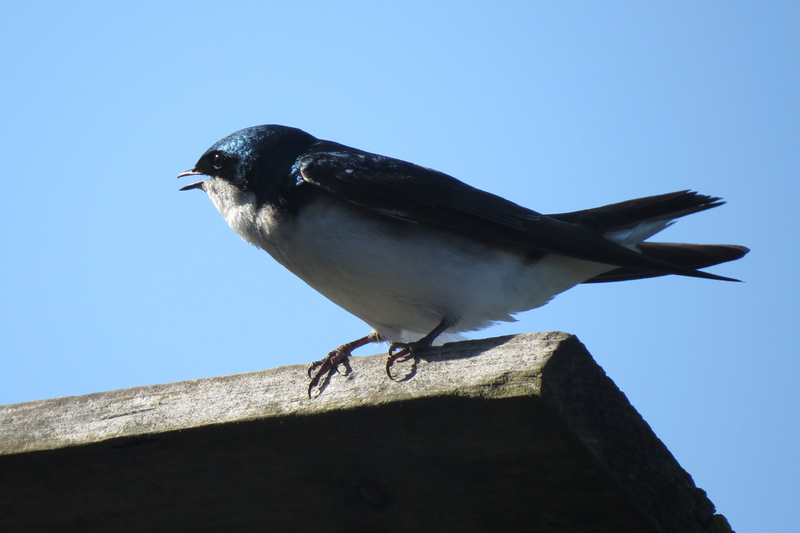 This entry was posted in mammals, OR Birding Sites, reptiles & amphibians, seasonal movements and tagged Common Carp, Fernhill Wetlands, Garter Snake, Marsh Wren, Muskrat, Northern Shoveler, Red-winged Blackbird, Taverner's Cackling Goose, Tree Swallow, Yellow-rumped Warbler. Bookmark the permalink.